Since we're deep into the holidays, we're all feeling a little generous. As such, let's pay respects to our elders and listen to their entirely frivolous Christmas tunes as a gesture of goodwill. Snoop Dogg and Boyz II Men have teamed up for a new holiday single, and it sounds exactly like you'd expect with both parties delivering their signature moves atop slick, Christmas-themed production. The song has been given the unfortunately lengthy title "Santa Claus Goes Straight to the Ghetto 2017." 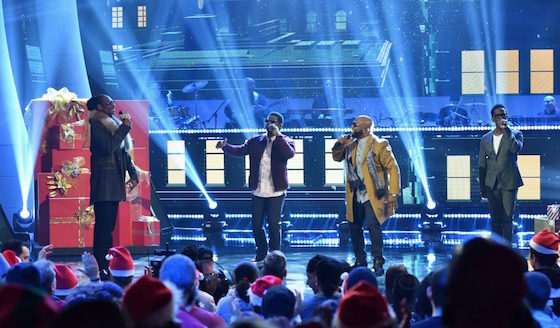 Snoop and the Boyz performed the song on Showtime at the Apollo: Christmas, which aired on FOX earlier tonight. Check out their impressive stage props in the photo above.